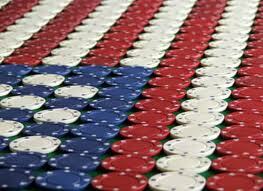 West Virginia has become the fifth state to legalize online poker. The State House and Senate both passed an online gambling bill that approves poker by wide margins. The Senate had the last vote before the legislation was sent to Gov. Jim Justice for final approval. He took no action, meaning that the bill went into effect automatically after 15 days. This doesn’t necessarily mean that Gov. Justice is indifferent to poker. He also let a sports betting bill pass in the same manner. What Will West Virginia’s Online Poker Bill Include? Each casino can purchase their internet gaming license for $250,000. The license will last for five years, at which point it becomes subject to a $100,000 renewal fee. Online poker, slots, and table games are all covered by licensing. Internt gaming revenue will be taxed at a 15% rate, which matches New Jersey. What Impact Will West Virginia Online Poker Have? West Virginia won’t make much of an impact on the US internet poker market by itself. They have less than 2 million residents, ranking them 38th in total population. They also don’t have a lot of money to throw around either. 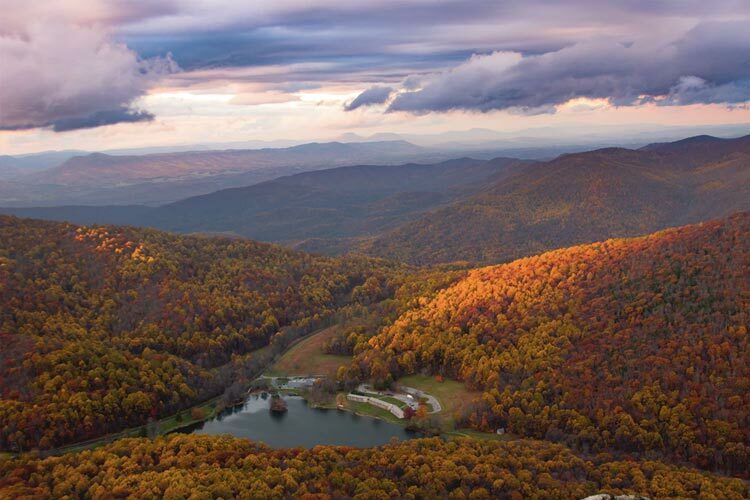 The Mountaineer State ranks 49th in family income out of all US states and territories. With under 2 million people and low income across the board, West Virginia online poker won’t offer much from a liquidity standpoint. Nevertheless, they’re making an impact on the market by becoming yet another state to legalize internet gambling. Furthermore, they could join in a multi-state pact with Delaware, New Jersey, and Nevada to create a larger poker player pool. Pennsylvania will also become an option once their market is up and running. 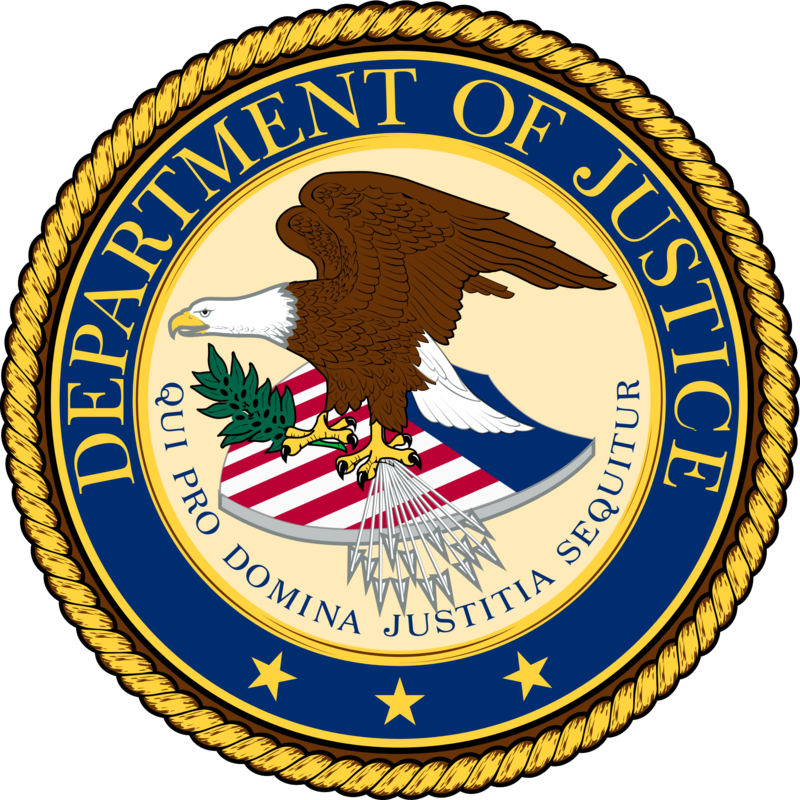 The future of online poker is in limbo after a recent opinion by the US Department of Justice (DoJ). The DoJ has released an opinion that the federal Wire Act of 1961 applies to all forms of online gambling, not just sports betting. This contrasts the department’s previous opinion in 2011, when they said that the Wire Act only applies to sports gambling. It’s unclear what impact, if any, the Department of Justice’s revised opinion will have on US online poker. Multiple states have already legalized the activity, and New Jersey, Nevada, and Delaware have active markets. The DoJ noted that everybody has 90 days to comply with their revised opinion. But some states are already threatening action over the matter. The New Hampshire Lottery has filed a lawsuit. New Jersey may not be far behind after blasting the federal government for overstepping their reach. These same states have noted that they moved forth with internet gambling after the DoJ’s 2011 opinion. They’ve dumped a lot of money into setting up regulatory framework for their markets. The US Attorney General’s office has extended the time that states have to comply with the new Wire Act opinion. However, Deputy US Attorney General Rod Rosenstein notes that it will still be enforced nonetheless. “Providing this extension of time is an internal exercise of prosecutorial discretion and does not create a safe harbor for violations of the Wire Act,” said Rosenstein. The Wire Act is an antiquated law that was created to stop gambling across state lines. Las Vegas Sands owner Sheldon Adelson has poured millions into a campaign to halt online gambling, using the Wire Act as his chief weapon. Adelson has recently been battling cancer, though, and may have difficulty keeping up his war against internet gambling. As for now, though, the US DoJ and Attorney General’s office seem serious about the matter. The World Series of Poker ran its first-ever online bracelet event in 2015. Things have come a long way since then, because the WSOP is set to run nine internet tournaments this year. This influx of 2019 WSOP online bracelet events might seem a little surprising. After all, the series has become famous for its live action. However, the world’s largest poker tournament event is simply trying to better showcase their Nevada-based internet poker room. They’re also trying to cater to players’ requests over the last few years. The online bracelet tournaments have been very popular so far. Sunday is traditionally online poker’s biggest day in terms of traffic. 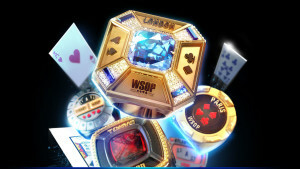 The WSOP is keeping with this tradition by hosting one bracelet tourney on every Sunday from June 2 to July 14. The only exceptions include two tournaments on June 19 and July 3, which are both Wednesdays. Every internet event will start at 3:30pm PT. One selling point to the online tourneys is that they’ll be pretty affordable for the average player. Only three out of the nine events will feature a buy-in worth over $1,000. Those seeking a cheaper alternative to the land-based Rio tournaments will appreciate these buy-ins. The history of internet WSOP tournaments dates back to 2015 and ’16, when only two such events ran. These tourneys were special, because the final tables were actually featured live at the Rio. However, some players only traveled across the Nevada border specifically for the online tourneys. Certain players who made the final tables were then forced to travel a few more hours just to finish their respective event at the Rio. The WSOP heard the complaints and have decided to make each of this year’s internet events strictly online. Last year featured four online bracelet tournaments. In 2019, WSOP officials have decided to more than double this number to nine tourneys. PokerStars has announced that they’re going to ban third-party software tools starting March 4, 2019. This decision was announced a month ago, but was only made official this week. “We all sit down at the table as equals. So, when a player takes the time out of their day to play in our poker room, we want them to know they’ve arrived in a safe and fair environment where the only thing to think about is the action. “Also, that they’re not being targeted for their experience, and they have a clear and unambiguous picture of the additional resources available to them. Stars is mainly concerned about seating scripts and automated starting hand charts with their most-recent move. 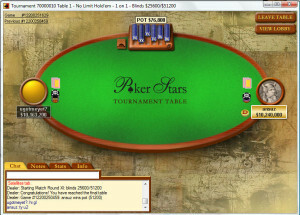 Seating scripts automatically seat players at a table where inferior opponents are playing. These programs use data compiled during the user’s current session to find weaker players. Starting hand charts will be allowed as long as they’re just displays. However, anything that’s automated and makes moves for players will be banned. Why Is PokerStars Making This Move Now? “Why are we making these changes now? As I have discussed in the past, we are constantly looking for ways to better provide a safe and fair environment and to improve the overall experience when a customer chooses to play with us. “However, we also need to be able to ensure that we create enforceable and sustainable policies, making sure that players who do follow the rules are not at a disadvantage. PokerStars has generated plenty of negative headlines for unfavorable rewards-program changes. They’re not about to receive any positive press for their latest move either. The world’s largest poker site has announced that they’re lowering the amount of tournament points that Stars Rewards players receive. Players will now only get 45 points per dollar spent on multi-table tournament fees, which is down from 100 points – a 55% decrease. Why Did PokerStars Reduce Poker Tournament Rewards? “This is a reduction in the overall amount of rewards some players will receive. But it’s made in an area that we believe will have the least impact on their experience and enable us to place even more focus where we know it matters most. 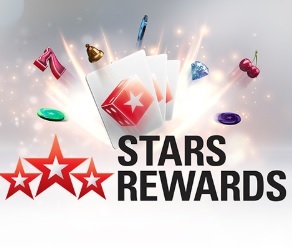 PokerStars alluded to how they’re probably not done making changes to Stars Rewards. Given their past history, it wouldn’t be shocking to see more cuts that hurt players’ bottom line. Of course, every time that Stars reduces rewards, they try putting a positive spin on the matter. This time, they’re pumping the €20m Winter Series as a reason. But if the Winter Series meets or exceeds all of its guarantees, then the rewards aren’t really being allocated towards the tournament series. Basically, this move is just another designed to help the Stars Group’s overall profit margin. They’re entirely within their rights to make good business decisions. After all, online poker traffic has declined within the past several years. However, most poker players still aren’t going to be happy about the matter. It’s not uncommon for successful poker players to donate a portion of their winnings to charity. But Scott Wellenbach has taken things to a new level after donating his entire $671,240 payout from the 2019 PokerStars Caribbean Adventure (PCA). 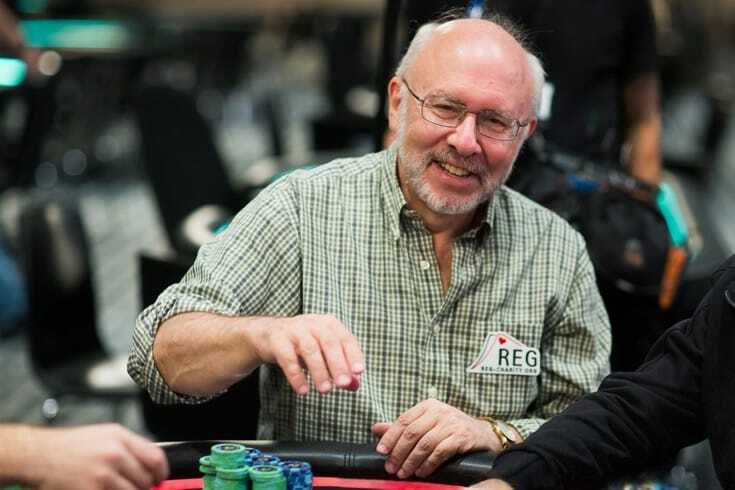 Wellenbach, a devout Buddhist from Nova Scotia, scooped this payout after finishing third in the 2019 PCA Main Event. This is quite an act of kindness when considering that the $671k prize represents over 85% of his career winnings. Why Did Wellenbach Donate All of His Poker Winnings? Poker is sometimes looked down upon for its predatory nature. Skilled players hunt fish in hopes of making profits. Wellenbach discussed this subject with CBC News last year. “A significant amount of your money is won from people who are too addicted, too drunk, too unstudied or too masochistic to play well – and we all have those features within us. The amateur poker player added that he hopes the money will make a difference. As mentioned before, Wellenbach is very in tune with the Buddhist religion. He translates the religion’s teachings from Tibetan and Sanskrit when he’s not playing poker. Therefore, it’s no surprise that the 67-year-old’s poker donations go towards Buddhist nuns in Tibet and Nepal. They also go to Doctors Without Borders. Wellenbach spends an hour per day meditating. He ramps up his meditation habit during tournaments, so that he can maintain discipline during each event. 888 Poker has purchased the remaining stake in the All American Poker Network, making them the lone owner. 888 previously claimed 47% equity in All American. Their partner, Avenue Capital, owned the remaining 53%. 888 Poker struck a deal to buy out the remaining 53% for $28 million. They’ll pay $10 million right away to Avenue Capital, with the remaining $18 million coming before April 2019. It’s no secret that 888 Poker has been positioning themselves to be a leader in America’s regulated online poker market. They’ve gained licensing in every state with legal internet poker and have continued investing on this front. Itai Frieberger, CEO of 888 Holdings, believes that buying the All American Poker Network moves them one step closer to their goals. “[This deal is] an important strategic step towards 888 achieving its exciting long-term potential in the US,” says Frieberger. The All American network was launched in 2014 as a collaboration between Avenue Capital and 888 Poker. Their goal was to spread the network to as many states with legal online poker as possible. Things have moved slowly over the past five years, though, with only four states currently offering regulated online poker. Pennsylvania, the fourth state to legalize the activity, won’t launch their market until summer 2019. Avenue Capital may have gotten tired of waiting and decided to sell their stake. 888 Poker, on the other hand, appears content with waiting for things to materialize. 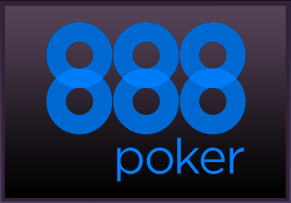 888 Poker and the All American Network are currently running in Delaware, New Jersey, and Nevada. The network features a monopoly in Delaware, where they supply internet poker to the state’s three racetracks. 888 uses the All American Network to share liquidity between all three states. They’re likely to add their Pennsylvanian player pool to the equation when the Keystone State begins offering online poker. 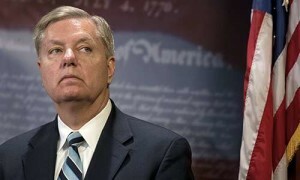 Sen. Lindsey Graham (R-SC) is reviving his attempts to ban online poker across the United States. He wants to use the confirmation hearing of future attorney general William Barr to rail against poker and other forms of internet gambling. According to Gambling Compliance, Graham will likely be the next Senate Judiciary Committee chairman. He can therefore use this platform to get Barr to hear his thoughts on online poker. “This will be one of the first things I will talk to Mr. Barr about,” says Graham. Lindsey Graham was infamously part of casino owner Sheldon Adelson’s attempt to take down online gambling. Adelson funded an effort to pass the Restoration of America’s Wire Act (RAWA), which sought to ban internet gaming on a federal level. Graham, who’s received significant contributions from Adelson over the years, played a key role in trying to get RAWA passed. The South Carolina politician has continued his efforts under the Donald Trump regime by working on former Attorney General Jeff Sessions. The latter lent Graham an ear but ultimately did little to reverse the Department of Justice’s 2011 opinion on the Wire Act. The DoJ believes that this 1961 law only applies to sports betting. Neither Graham nor any other Adelson-backed politicians have had any luck with pushing RAWA through. 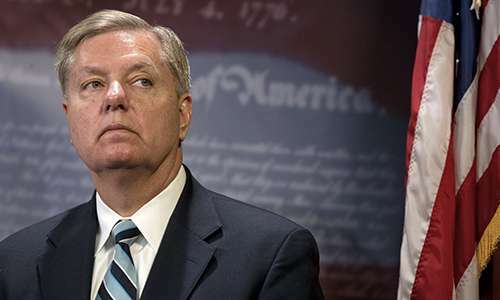 Graham is currently the most-powerful politician standing who could get the law passed. However, it seems unlikely that he’ll have any better chance convincing Barr to join his futile quest. Sessions was about as anti-gambling as a politician can get. But even he failed to act on helping RAWA pass. The federal government as a whole is giving little credence to online gambling right now. They’ve instead left the matter up to the states. With several states already featuring online poker, it’s unlikely that Congress wants to step in and ban the activity any time soon. The NBA and PokerStars’ parent company, The Stars Group, have signed a partnership deal. Both sides will promote each other via gaming (Stars) and social media channels. 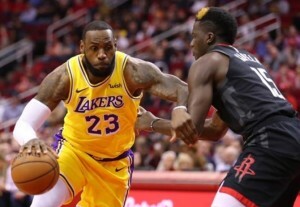 This agreement opens the way for The Stars Group’s BetStars to appear on NBA.com and NBA TV. Besides the advertising benefits, BetStars will receive real-time data. It’s no secret that The Stars Group has been eyeing expansion in the United States. They’re currently approved to offer online gaming in New Jersey and Pennsylvania. BetStars is licensed to offer sports betting in New Jersey. The hope is that Pennsylvania will feature internet sports betting at some point too. Aligning with the NBA — America’s second-most-popular pro sports league — will definitely help The Stars Group’s presence in the US. But Sen. Orrin Hatch (R-Utah) could potentially threaten this with a bill that would allow the federal government to control sports betting. Hatch’s legislation calls for the U.S. Attorney General to approve legal online and land-based sportsbooks. The legislation also calls on the federal government to deny any operators that accepted American wagers starting Oct. 13, 2006 and beyond. This is when the Unlawful Internet Gambling Enforcement Act (UIGEA) was signed into effect. The NBA formed a partnership with MGM Resorts International four months ago. They were the first major sporting organization to do so. Since that time, the NHL and MLB have also inked deals with MGM Resorts. The NFL is the only major sports league to avoid entering into an agreement with a sports gambling related business. PokerNews.com has been hit with a $6 million lawsuit over copyright infringements. The plaintiffs claim that the parent company, iBus Media (owned by The Stars Group), used their music in hundreds of podcasts without permission. IBus Media is being sued by several music labels, including Roc-A-Fella Records, Capitol Records, PolyGram Publishing, UMG Recordings, and Universal Music. The group of plaintiffs note that iBus Media committed 315 acts of copyright infringement in 522 episodes of the “PokerNews Podcast.” The plaintiffs notified iBus Media of the issue in December 2015, but they continued using the music without permission. Some of the artists used in the PokerNews Podcast include Billy Idol, Black Eyed Peas, and The Who. The plaintiffs are seeking $150,000 in statutory damages for each song that was illegally used, which would amount to $6 million if the lawsuit goes to court. Last year, it was revealed that The Stars Group (TSG) — PokerStars’ parent company — has full ownership of iBus Media. The company was started by Antanas “Tony G” Gouga in 2002. 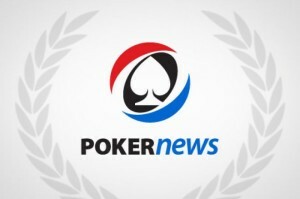 IBus’ crown site, PokerNews.com, has become the biggest poker news outlet in the world. PokerStars’ old parent company, Rational Group, began purchasing equity in iBus as early as 2010. Tony G eventually sold all of his holdings in the company, leaving TSG as the sole owner today. That said, they’re on the hook for the copyright infringements if iBus Media is found guilty.